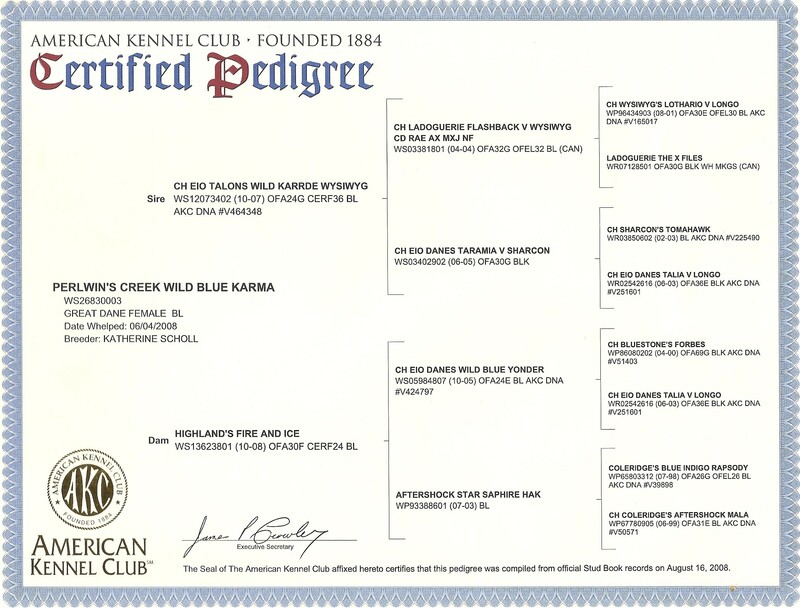 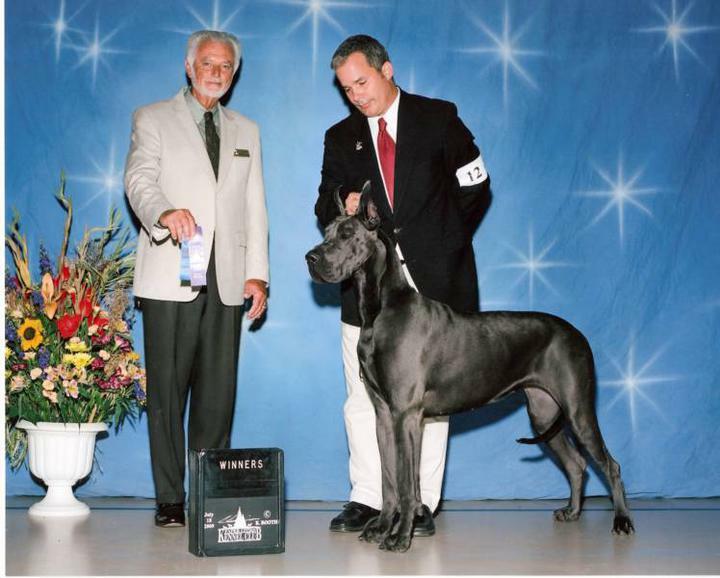 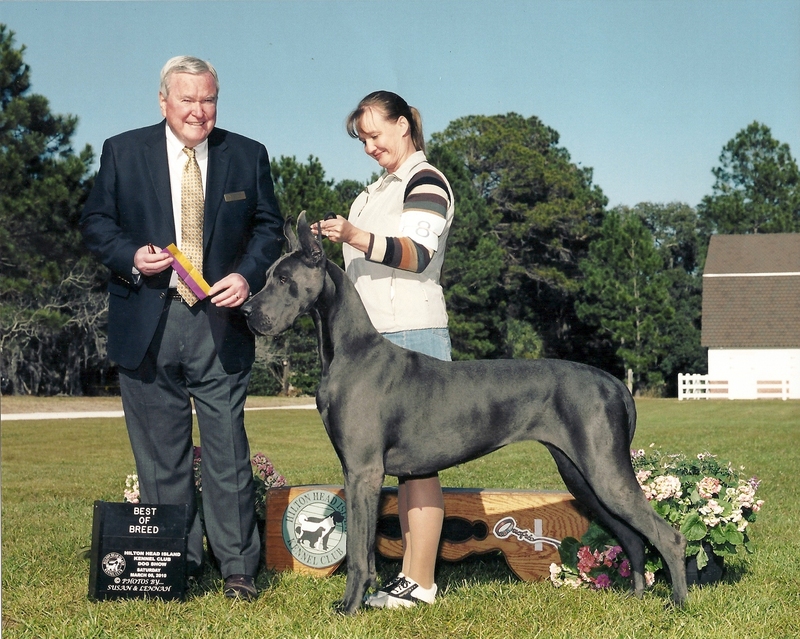 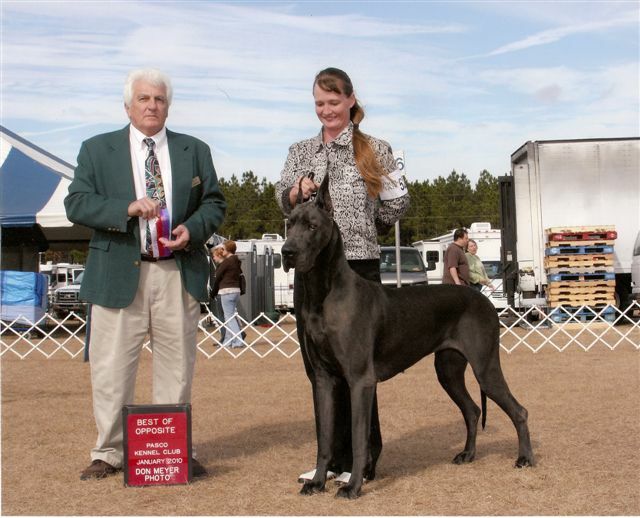 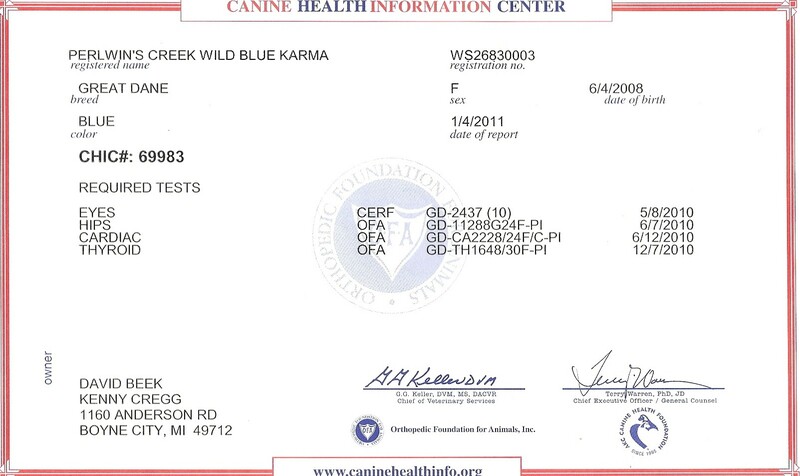 Karma was bred by Kay Scholl of Stoughton, Wisconsin. 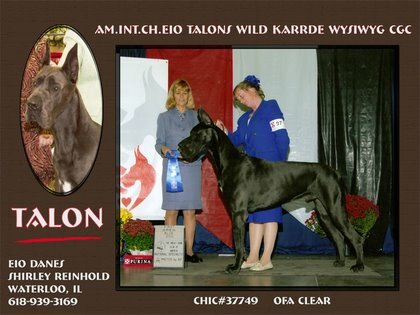 Her sire is CH EIO Talons Wild Karrde WYSIWYG and her dam is Highland's Fire and Ice, a daughter of CH EIO Danes Wild Blue Yonder(Logan). 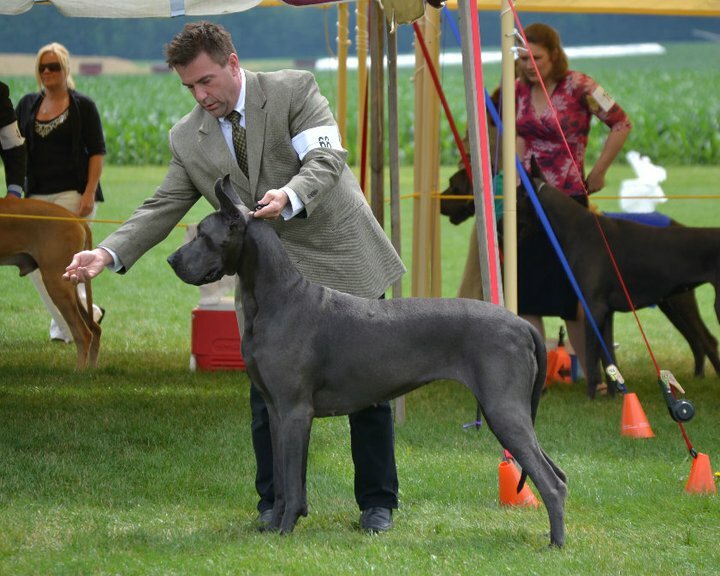 She is such a sweet dog always eager to please and she has to be right next to one of us all of the time.